Known as one of the best cab rental services since the last 10 years, Tixilo is fast spreading in all the top cities in the country. 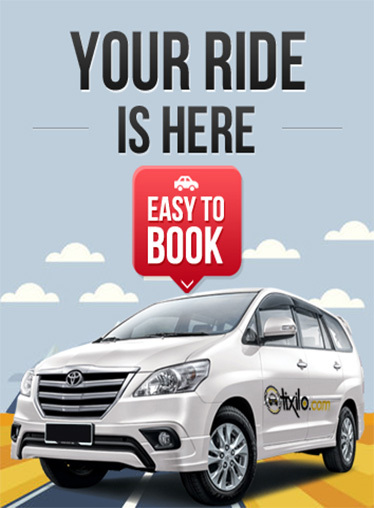 With its reliable and affordability, the taxi service company is now serving Chandigarh. We offer point to point travel services as well as inter-city transfers, to cater to both tourists and localities. Why to choose a Tixilo cab in Chandigarh? At Tixilo, we give highest prominence to customer safety and convenience. Our continual services are directed at providing the best services to our customers. We offer highly affordable packages that suit all types of requirements of local as well as tourists visiting Chandigarh. Chandigarh is a beautiful place with a lot of places of interest for the tourists. We have tailored our packages in a way that our customers get to visit all these places without spending much. We provide cab rental services so our customers navigate through the busy streets of the city without any hassle. We have well informed drivers who advise the customers about the places of interest. We have different types of vehicles ranging from a hatchback to an SUV, for the customers to choose from according to their requirement. Visit the Sukhana Lake or the Dolls museum, travel in Chandigarh is easy with online cab booking from Tixilo mobile app. Reach uss for our attractive one way, local and outstation packages which start from 0$ for 4 hours.